Adventureland is loosely defined as a comedy. Though there are equal parts drama and romance involved, the 2009 film still fits within the parameters of this piece. Above all, it’s a quality movie. Set in the ’80’s, there’s a certain sense of nostalgia paying homage to those teen angst-ridden films actually filmed in the 1980’s. Of all the characters, Bobby (played by the brilliant Bill Hader) is the funniest. And if you’re in the mood for some patented Kristen Stewart moodiness and indecision, you’ll love Adventureland. 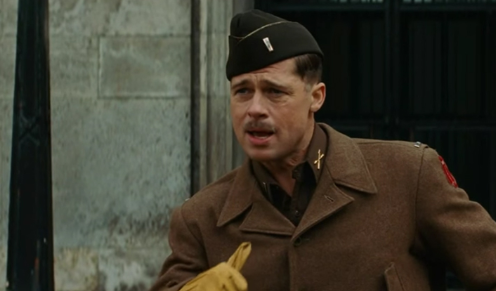 Inglourious Basterds is far from the typical comedy. While the portrayal of Adolf Hitler normally isn’t associated with any ounce of humor, this fictional film is in many ways off-the-wall. It’s to be expected with a Quentin Tarantino project. Eli Roth’s cameo as Donny ‘The Bear Jew’ Donowitz is highly memorable. Aside from that, the audience gets to enjoy performances from the likes of Brad Pitt, Michael Fassbender, Christoph Waltz, and Diane Kruger.